Key-Lore - A full service animal care facility. Providing Boarding, obedience training, burial services and pet cremation services. Pets are the New Kids! For over 35 years Key-Lore has been the premier pet boarding facility, our family owned and operated kennel is a spot where your dog can come and “be a dog”. At Key-Lore we know pets. Our facility is equipped with individual apartments for any size dog, and spacious Kitty Condos for your cats comfort. 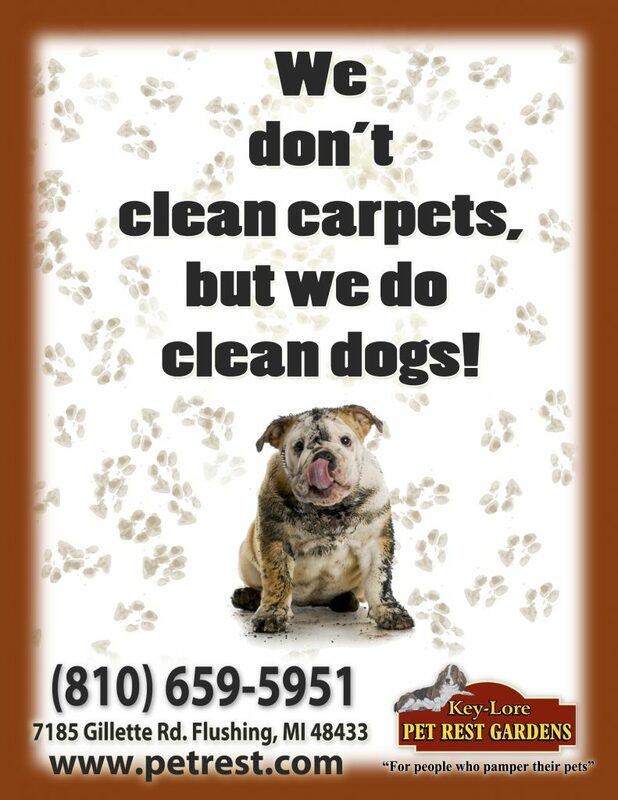 We also maintain a full service grooming facility for that special pampering your pet deserves. The best care for your pet is only minutes away! Our full service facility is conveniently located 5 miles west of I-75 exit 126. Safe, Secure, FUN dog boarding in our spacious, heated/air conditioned facility awaits your dog or cat. Here at Key-Lore the day is never dull as activities galore await. Puppy romps for the young ones & leisure walks for the older pets keep joints moving and appetites normal. Our dogs are never bored and they will be begging you to bring them back to play! Here at Key-Lore your pets life truly comes full circle. From puppy housebreaking to senior dog care we have the experience to do it all…and when the day comes and you have to say your last goodbyes, Key-Lore has several full after care plans to suit you and your pets needs.